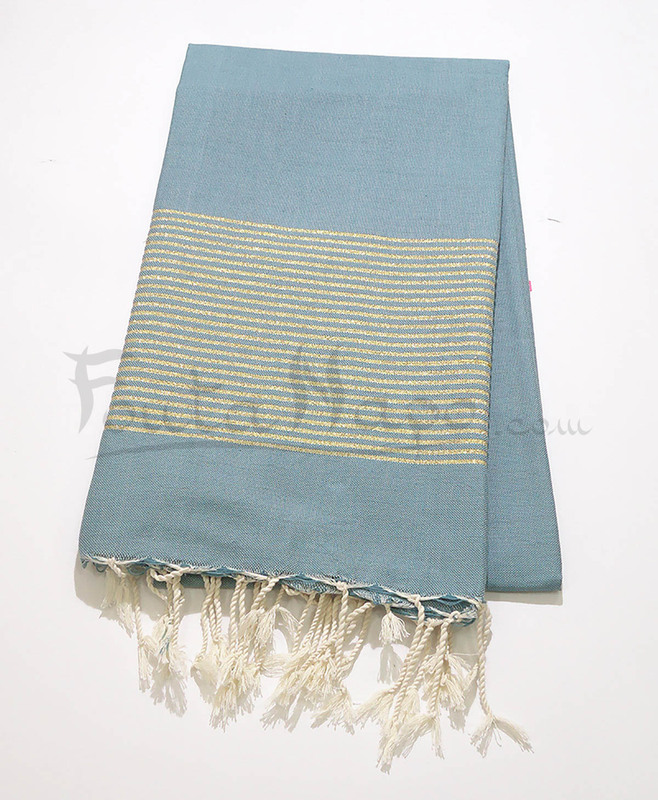 The fouta towel lurex Jade & Gold is handmade weaving with the latest trend, fine, light and refined, embellished with just a few wire of lurex . 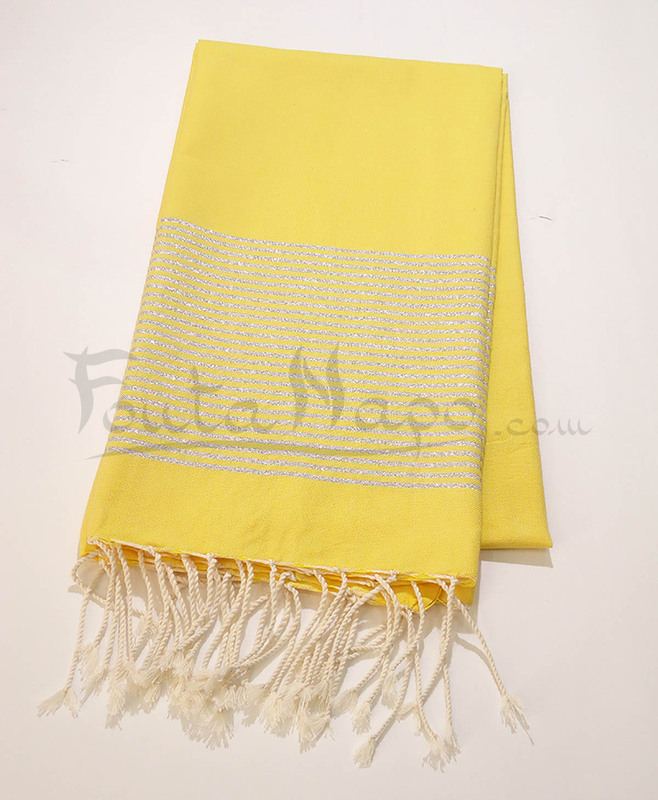 This fouta is becoming a must for everyone and is an absolute favorite for women and men. You can use the fouta stole on the beach on the pool. You will like to put on your shoulders during the cool summer evenings. 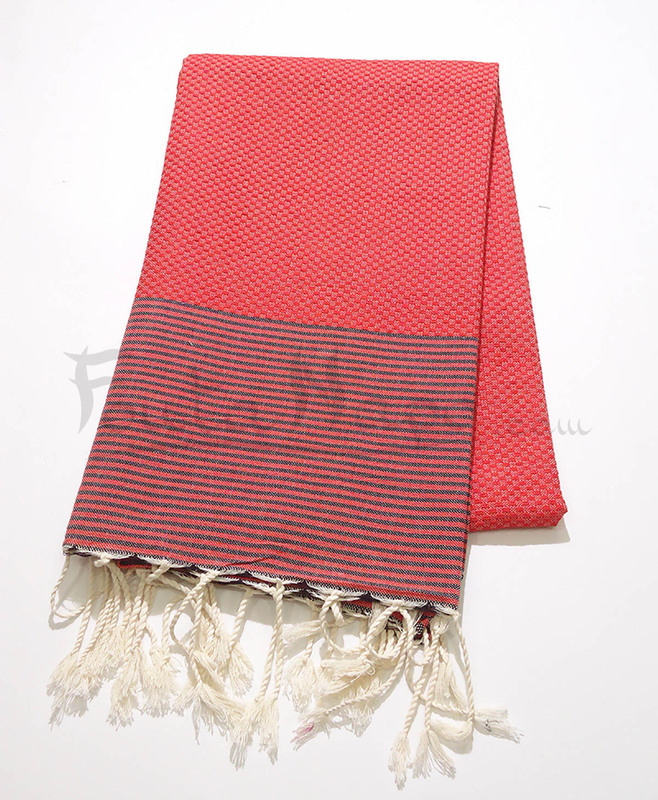 This fabric is very chic, original and fashionable.